Happy Birthday Amanda! I hope you have a great time in Florida. 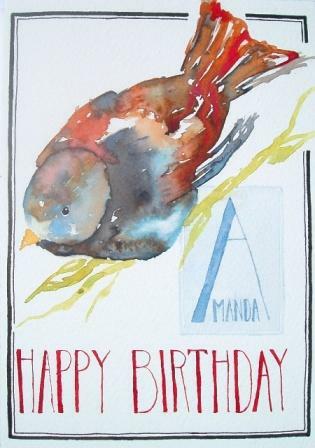 This is a birthday card I did for my sister Amanda for her 28th birthday. Thanks Sandi! I love the card you did for me. I also love the one of Molly – it really looks like the picture! You’re very welcome! I’m glad you like it. Give Aidan and Hannah kisses for me – I can’t wait to see them when yall get back. I also can’t wait to see the beach pictures!